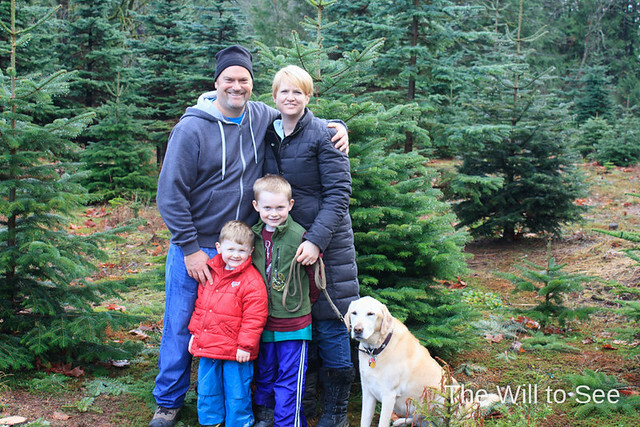 Over the weekend we made our annual trek to the Keith and Scott Tree Farm for our beautiful Christmas tree. This year Yaya and Papa were still in town to come with us and our friends the Yocums decided to try out a tree farm instead of a hike through the wilderness. We came home with a Turkish that looks lovely in the living room. Will couldn’t wait for the tree to get up so the Polar Express train could get put up. By Sunday evening he was in heaven with the tree and train.